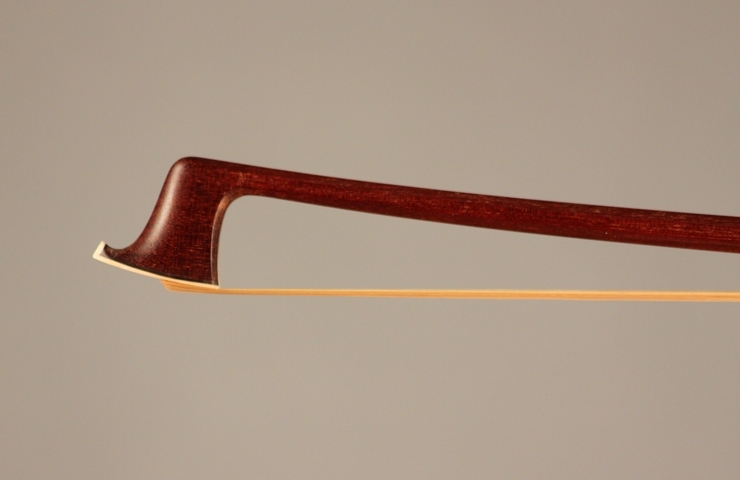 Description: Born in Poland in 1930, Richard Grunke found an early interest in the bow making business. He began his apprenticeship as a bow maker in 1945 with Edwin Herrmann in Schönlind, then completed it in the H.R. Pfretzschner workshop in Markneukirchen between 1946 and 1948. He remained in this workshop until 1950 before moving to Berlin to work for Alfred Leicht. In 1952, he moved to Bubenreuth and joined the Roderich Paesold workshop. In 1975 Richard Grünke set up his own business. In recognition of his work, he was called on to participate on the juries panel in international bow making competitions. In 1996 he founded a new company with his two sons, Klaus and Thomas, called “Richard Grünke & Söhne GmbH”, in which he still plays an active role in. 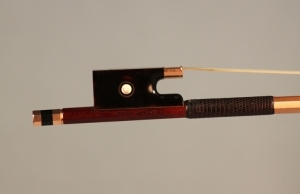 This bow is well balanced and in excellent condition. Ebony and gold mounted. It creates a powerful, rich tone. Weight: 62.4g.